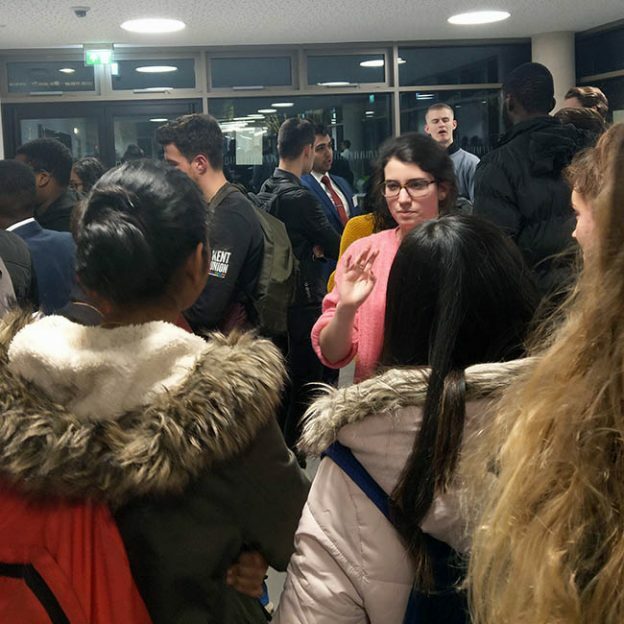 The school ran its fourth annual alumni networking evening on Tuesday 6 March in the Sibson Café on campus, which overlooks the site of the new Economics building. The event was really well attended by current undergraduate and postgraduate Economics students who had a fantastic opportunity to meet some of our Kent Economics alumni to discuss their work and lives after University. Both alumni and students had a great time chatting and found it very useful for fostering new connections. We would like to say a big thank you to the alumni for giving up their time to attend the event: Aniq Ahmed, Max Nqai from Deloitte, Nuno Nunes from HSBC, Pamela Macedo from Ruffer, Iria Camba from Cornerstone Research, Mesh Mukul from the Department of Work and Pensions and Will Hindley from Deloitte. This entry was posted in Current Students, Employability, General on March 15, 2018 by cm894.